Socré was founded in Barbaresco in 1869, when a great-grandfather of the current owners purchased the farm land and moved to Barbaresco to cultivate vineyards. The name of the estate and its agricultural farm, Socré, which means clog in Piedmontese, already existed and stemmed from the activity of the previous owner. The company has always been exclusively wine-orientated, but from year 1958 Benedetto Piacentino (father and grandfather of the present owners) starts a major organizational change. He completely redesigns the vineyard, increasing the amount of Nebbiolo variety and begins making wine for family use, with a small portion of the grapes. 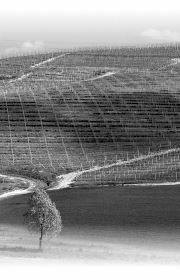 From 1990 the son Marco Piacentino and his wife Rosella, supported and helped by their sons Giulio and Lorenzo, continue the variety renewal in Barbaresco and enlarge the company with new vineyards in Cisterna d'Asti and Alba (Barbera, Dolcetto, Croatina, Cabernet Sauvignon, Merlot), developing the wine-growing family tradition in Langhe and Roero. 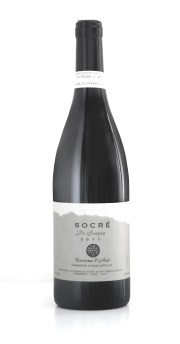 We at Socré continue our commitment and between 2010 and 2012 built a new cellar, where, for the first time, we are crushing all grapes of all vineyards in the estate.